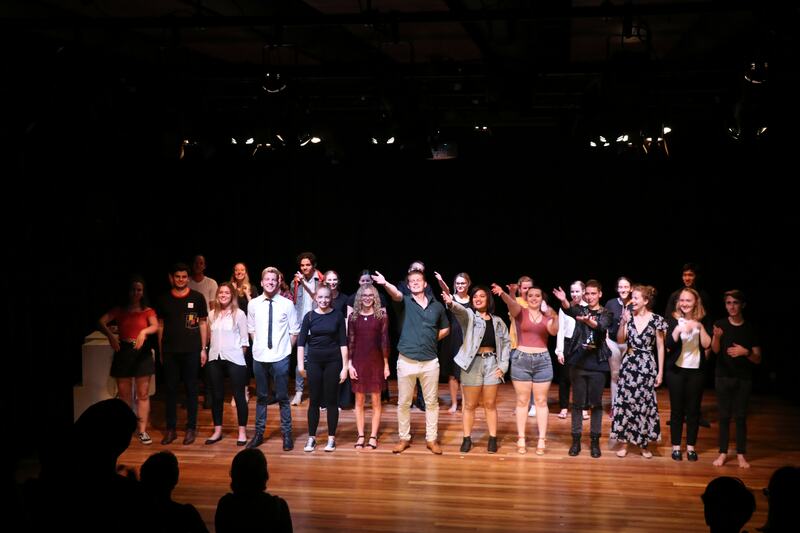 For three consecutive nights The University of Queensland’s Geoffrey Rush Drama Studio played host to a sold out Vanguard Theatre Festival. It was a full house from October 24th to October 26th as students took to centre stage. It was a full house for the opening night at Vanguard, with only a few seats left unoccupied following intermission. The Vanguard Festival, a product of Dr Bernadette Cochrane, a drama lecturer at The University of Queensland, showcased the hard work of drama students. The festival consisted of two different types of performances. The majority of performances were part The Director’s Project where third year drama students had to direct a play with first year students. However two performances a night were part of The Hedda Project. The Hedda Project was run by UQ drama lecturer Dr Chris Hay, the project gave a select group of first year drama students the chance to experiment with the Norwegian classic Hedda Gabler. 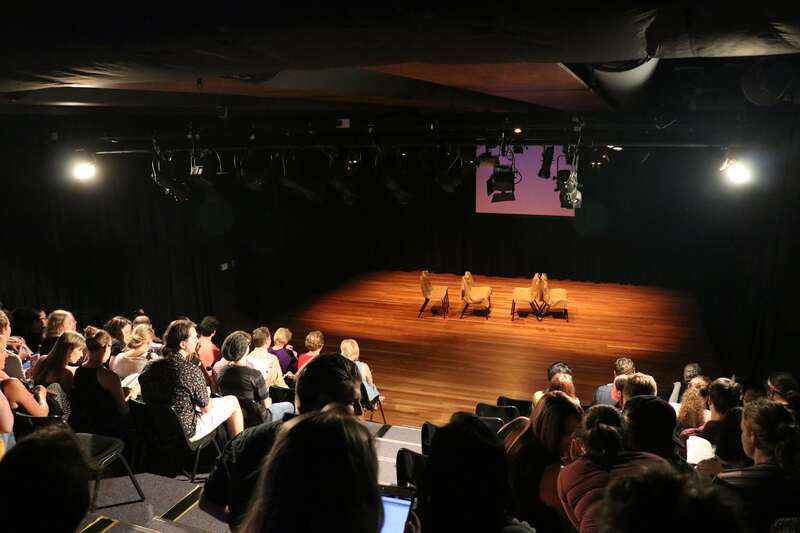 Students involved in The Director’s Project could choose any script they wanted, with a over a third choosing pieces written by UQ playwriting students. Various cast members thank the audience after a successful opening night. The themes covered in pieces featured in The Director’s Project ranged from a comedic take on an ancient battle, to a sci-fi rebellion. However not all the pieces were light-hearted, with some providing powerful performances relating to domestic violence, and suicide. One piece on the final night, 4:48 Psychosis, gave the audience a front row seat to one characters depression, and discussed issues regarding the treatment of depression, self-harm, and suicide. Tragically the author of play, British playwright Sarah Kane, ended her life shortly after she finished writing the play. Student director Holly Winzar-Dunn, and her cast, Natasha Eric and Jesse Smart, as well as the Vanguard Theatre Festival dedicated the performance to Sarah Kane. The Geoffrey Rush Drama Studio which hosted the festival lies beneath the historic Schonell Theatre. The Schonell Theatre is slated for destruction under The University of Queensland’s Site Development Plan.